We had our first HeidiTown Fest in 2015. One day, we will revisit the idea of hosting this event in another unique destination. I will make a big announcement when the festival returns. Thanks for visiting HeidiTown today! 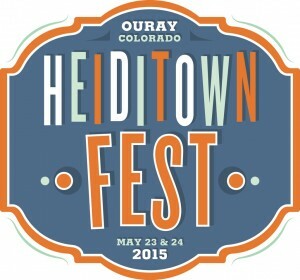 HeidiTown Fest is a chance for YOU to live like the Mayor for the weekend in beautiful Ouray, Colorado. 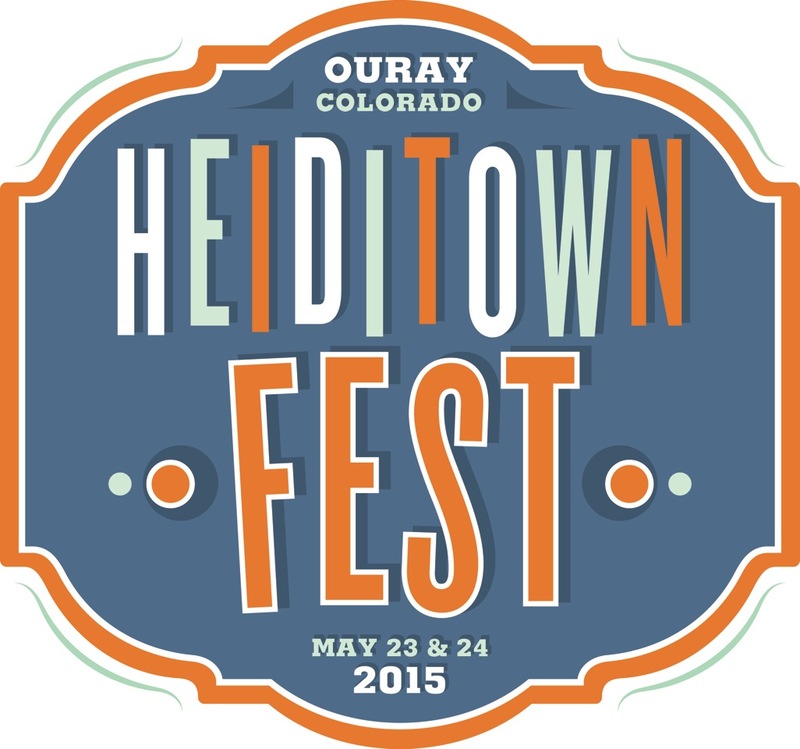 HeidiTown Fest is May 23-24, 2015. 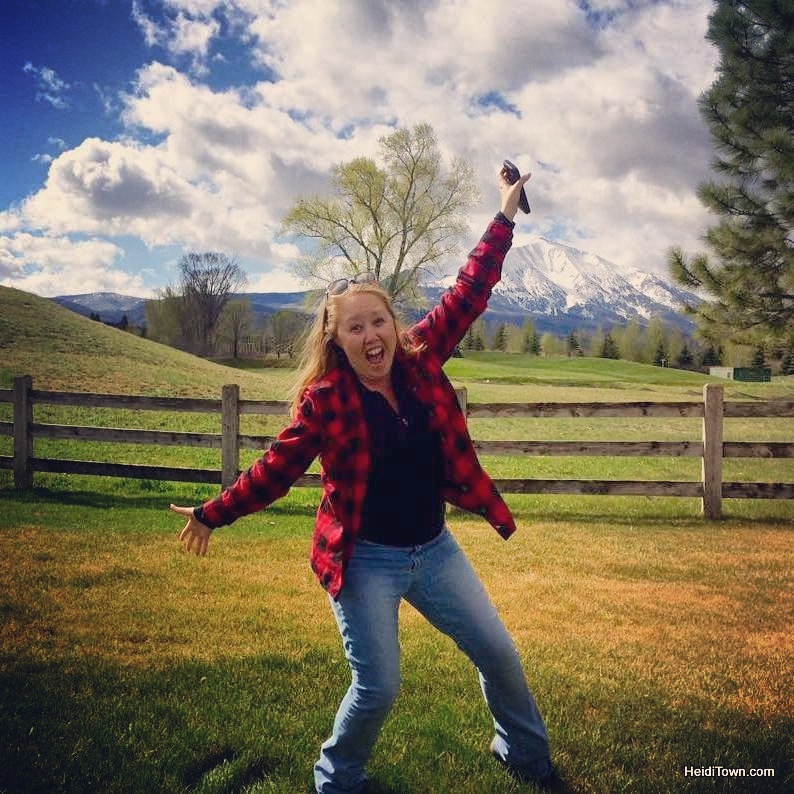 I often hear from readers and social media followers, “I live vicariously through you.” I have other followers who get out and explore the state nearly as much as I do. This is an opportunity for everyone, couch potatoes and adventure seekers, to get out and experience a Colorado weekend exactly like I do. This is the first HeidiTown Fest and we hope to make it an annual event. I sincerely appreciate the support of HeidiTown Fest by the citizens and businesses of Ouray and the endorsement of the Ouray Chamber Resort Association. I couldn’t have put this together without their willingness to take this leap with me. Anyone who purchases a HeidiTown Fest Package will get tickets to the private HeidiTown Fest VIP Party on the evening of Saturday, May 23.This event will be held at the Ouray Elks Club, #492. 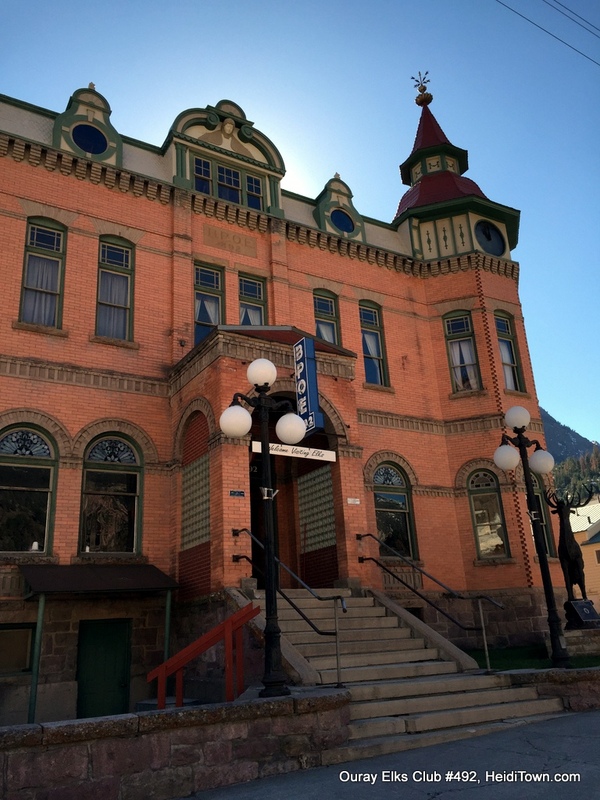 Anyone HeidiTown Fest participants who arrive in Ouray on Friday (5/22/15) are invited to a special “Happy Hour with the Mayor” to be held at Ouray Brewery. Festival attendees wearing a fest lanyard will receive $1 off pints that evening (times TBD). Keep in mind that Ouray Brewing has delicious food too, so this is an excellent place for dinner while you’re in town. This will be a laid back get together where you can meet me and other folks participating in HeidiTown Fest weekend. KJ Wood Distillers and Twin Peaks Lodge & Hot Springs are sponsoring the Sunday HeidiTown Fest wrap up party from 3 to 7 p.m. at Twin Peaks. This will be an afternoon of cocktails, h’orderves, corn hole and soaking. Thank you to KJ Wood Distillery and Twin Peaks! Please note, while you all will be VIPs in Ouray, gals named Heidi will be VVIPs, Very, Very Important People. We will have a little gift for you waiting at the Chamber when you arrive in town. Please let the hotel know when you book your package if you have a Heidi in your party. Our HeidiTown Fest featured nonprofit is Second Chance Humane Society. There will be opportunities during the festival’s social gatherings to donate to this wonderful organization. I look forward to meeting each of you in beautiful Ouray this Memorial Day Weekend. Choose from a Saturday (5/23/15) or Sunday (5/24/15) outing. Alpine Scenic Tours departs Ouray at 9 a.m. and return around 1:30 p.m. Pick up and drop off will be at your hotel. You will receive a confirmation from Alpine Scenic Tours via email after you book your HeidiTown Fest package. Choose from a Saturday (5/23/15) or Sunday (5/24/15) outing. Rafting trips depart at 8:30 a.m. from RIGS Fly Shop Headquarters at 565 Sherman #2 in Ridgway, Colorado. Approximately return time is 12:30 p.m. RIGS is approximately 17 minutes from either hotel. You will receive a confirmation from RIGS via email after you book your HeidiTown Fest package. Book directly through the hotel with which you’d like to stay. Call the hotel to book your “HEIDITOWN FEST PACKAGE” indicating what package you’d like to book for Memorial Day Weekend 2015. Add a THIRD NIGHT (May 22nd or May 25th) for just $80. Rates for families of 4 or more are available through each hotel. This is the fine print. Please take a moment to read it. Packages must be purchased by May 17, 2015. Packages are non-refundable. So sad that their will not be a HeidiTown Fest in 2016. Lookin’ forward to one in 2017! My first visit to Telluride was in 1960. It had one paved street, a gas station, no ski runs, no restaurant, nearly all the stores were closed with windows boarded up. I saw two tourists, a young man and girl (hippies) in an old Volkswagen minibus. My girlfriend and I enjoyed it. It looked the way it did when outlaw Butch Cassidy robbed his first bank in Telluride in 1889. It was old Colorado. Different and delightful. Many years later, I researched Telluride’s history and wrote about it. Here is an excerpt from theseniorvoice.net. That’s what stagecoach drivers yelled to startled passengers arriving in Telluride in the 1800s during Colorado’s gold rush. There was plenty of hell in Telluride then. Nearly 200 prostitutes worked in saloons and bordellos that never closed. The bars and bordellos were so successful that licensing fees and fines paid by them supported the town’s entire city government. Residents paid no local taxes. Winter storms were the worst kind of hell, driving some residents crazy, killing miners nearly every year, and isolating the town. 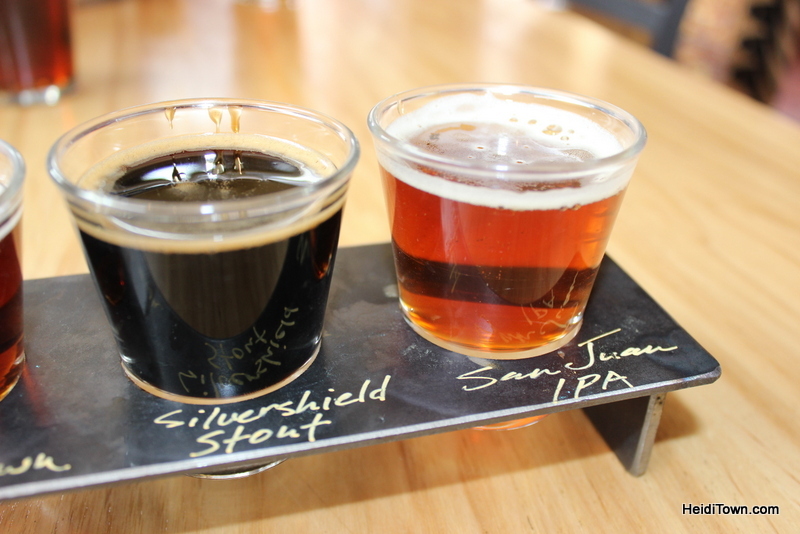 One supplier finally got through and brought life-saving relief—a mule train loaded with beer. Telluride’s gold and silver boom began in 1875 and lasted much longer than the booms of most towns. Its mines didn’t begin closing until the 1920s, and the huge Smuggler Mine was still producing a little ore until 1970. After that, a new kind of boom hit the town. The ski resort opened in 1973, and tourists discovered this picturesque little village nestled in a mountain valley surrounded by 14,000-foot peaks; and they loved it. Now Telluride is famous for blue-grass music, summer jazz festivals, and some of the world’s finest downhill skiing. Billionaires and celebrities have built homes nearby. Gourmet restaurants have replaced the bordellos. Fortunately many of the town’s historic buildings have been preserved, and visitors can still see what Telluride looked like in its gold-rush days. Telluride, with its beautiful wildflowers, crystal-clear air, and magnificent mountain setting was worth saving. And you can still raise a little hell there.